What is really amazing is that Dodd's warnings and repeated pleas for intervention into the obviously growing Nazi military threat, went virtually unheeded by the Roosevelt administration and were the brunt of jokes and ridicule by the wealthy and powerful members of the "Pretty Good Club". It's also astonishing that such brutality could occur in such a civilized area of the world and not that long ago. In fact, there are still characters in the story that are alive today, though not many and their numbers dwindle daily. 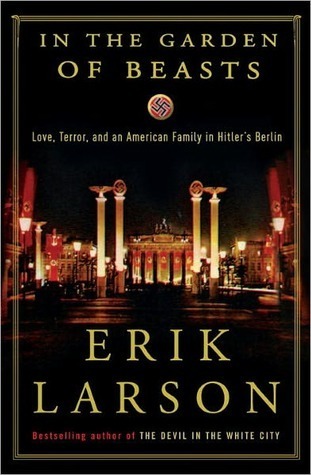 I'll definitely be inclined to read another by Erik Larson. Sign into Goodreads to see if any of your friends have read In the Garden of Beasts.